Posted April 18th, 2019 by cet_painting_admin & filed under Uncategorized. Epoxy floorings are one of the best industrial and residential flooring options in the world. They endure heavy loads and weights as well as last long enough to prove that they indeed provide value for your money. 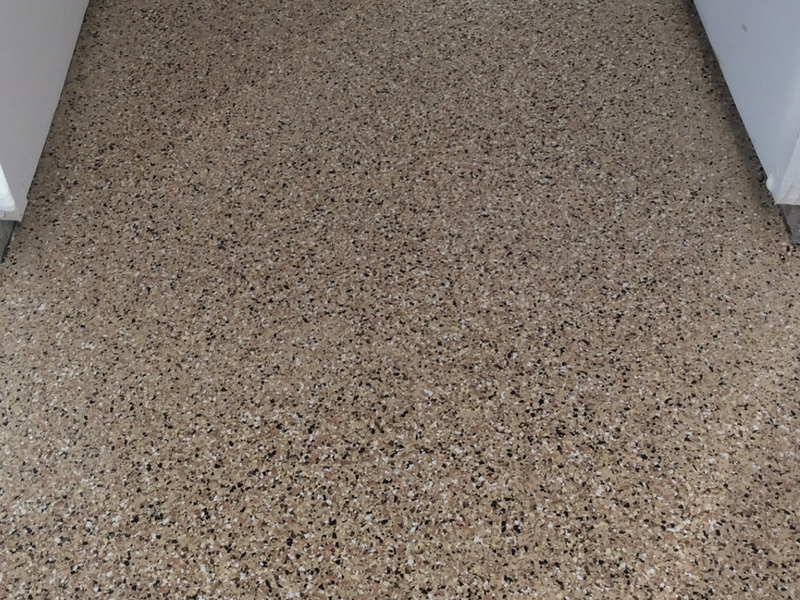 Regardless of whether they are installed in school cafeterias, commercial buildings, garages, warehouses, industrial sites or other places that receive heavy traffic, epoxy flooring will provide high-performing, smooth, and durable surfaces that will last many years under constant use. The use of epoxy flooring is on the rise. Like many entrepreneurs in the commercial and industrial sector, most homeowners are installing epoxy flooring in their homes-especially in their garages. So, why are epoxy flooring famous? Why do most architects recommend their installation and what are their advantages? Let’s find out. Most of us pay little attention to our garage. The only time we see their importance is when we are working on our cars or when we decide to use the garage for another purpose-like making it a guest room. A garage is not just a place where we park cars anymore. It can be used in various ways, and its appearance matters a lot; especially when it comes to adding property value. So, why is it crucial to install epoxy flooring to your garage? What makes an epoxy floored garage better than the average garage? Epoxy coating is among the most durable floor coating on the market. Not only do they withstand constant foot traffic, but the impact resistant coating also endures bike trick practice, street hockey games, and basketball tournaments. Epoxy is designed to endure heavy machinery like forklifts in industrial facilities. So, regardless of whether you own and drive a BMW SUV or a Honda Civic, the floor will do just fine when it comes to resisting high impacts. Your floor color is one of the first things people will notice when they come to your house. A good epoxy flooring color makes a statement that defines your tastes and preferences; it leaves a lasting impression. Did you know that epoxy floor colors aren’t painted? The color is in the resin which is usually combined with a hardener. This means that epoxy flooring colors do not chip since they are part of the floor. You can also paint the floor of your parking space or decorate your garage with your favorite team’s logo. There are countless ways to revamp your home garage using different epoxy flooring patterns. What’s more, the epoxy floor coatings can be done in different ways to have a variety of textures. With epoxy flooring, homeowners have the chance of customizing their homes in unique ways. Homeowners appreciate that it feels like you have to spend too much time and money on maintaining a home. The last thing they’d want is a high-maintenance floor in their garage. With epoxy, cleaning is easy and worrying about grease and stains as a result of spills should be the last thing on your mind. Epoxy doesn’t absorb liquids. Epoxy floors are also slip-resistant which means that they protect against damage that results from spills. Why is Epoxy Good for High Traffic Areas? Epoxy flooring is known to maintain its appearance regardless of the pressure they receive from heavy loads and high traffic. They are ideal for high-traffic areas such as school cafeterias, entryways, hallways, and other common areas. These places are more exposed to wear and tear because of frequent use, and as a result, they are prone to damage from mildew, molds, and water. Epoxy flooring contains antimicrobial agents for protection. Impressively, epoxy flooring can hold up to 9,000 per square inch without cracking, chipping, or breaking. If you are looking for a long lasting flooring material to install in a high-traffic area, look no further. The same way that you take pride in your cars is the same way that you should be proud of where you store them. A beautiful well-performing car deserves to be stored in an up-to-date garage. Storing it in a cracked, stained garage doesn’t make sense. Epoxy flooring adds decorative dimensions to cement surfaces. It also prevents oil absorption meaning that the concrete floor beneath is well protected from corrosion. The right color and finish for your epoxy add aesthetic as well as property value to your home. When choosing the right color for your epoxy, there are several things you should consider. One of the things to consider are the colors of your walls and how they reflect on the floors. Also, consider shadows and other things that will fill up the floors. When choosing the right color for your epoxy, consider how easy and manageable they are when it comes to cleaning. For instance, white floors may look fantastic, but they are a nightmare when it comes to cleaning. You should also note that some darker paints show more dust and dirt than others. You can take your garage game to a higher level by applying a metallic pearl effect epoxy. Doing this amplifies and reflects the beauty of your cars. Garages with epoxy finishes are easy and cheap to maintain because they do not need frequent repairing because of wear and tear. Epoxy flooring can last up to 30 years without showing any signs of damage. The following factors determine how long epoxy flooring will last. – High quality topcoat is highly resistant to abrasion and scratches. The extent of traffic– Epoxy installed on high traffic areas will wear out faster than those installed in low traffic areas. UV Light Exposure– An epoxy floor has poor resistance to UV light. When exposed to regular sunlight, the binder used can chalk and turn powdery. The thickness of epoxy– The thicker the epoxy coating, the longer it lasts. -Wipe the flooring with a soft cloth or paper towel for minor spills. -Routinely clean your floor with a commercial dust mop or a soft bristle broom. -For heavy cleaning of a soiled epoxy floor, use clear ammonia, hot water, and a hard foam mop. -Use kitchen scrubbing pads to get rid of some stains such as rust. -Never use soap based cleaners or acidic cleaners such as vinegar and citrus cleaners. Soap based cleaners detract the shine from epoxy flooring. -Place a pad under motorcycle kickstands to prevent damaging the coating surface. In as much as epoxy adds property and aesthetic value to our homes and garage, there are instances where they should not be used. Structurally unsound concrete or compromised floors such as wood, uncoated, tile, and ceramic are a few examples. Epoxy flooring cannot be applied on uncoated floors is because they breakdown quickly. They also cannot be added to wood flooring because wood floors tend to flex and move. Epoxy flooring installation requires the help of qualified professionals who have the skills and knowledge of working with epoxy coating. At C.E.T Painting, we have exactly what you need to take care of your epoxy flooring needs. If you are looking forward to installing perfect epoxy flooring to your home or garage, get in touch with C.E.T Painting, and we will be happy to provide accurate and affordable rates. For bookings and consultations, visit our website or call us on (914) 615-1415. HOW OFTEN SHOULD YOU REPAINT YOUR HOME AND WHY? Posted March 26th, 2019 by cet_painting_admin & filed under Interior Painting. House renovation is one of the most important activities for homeowners. Although it might be time consuming and inconvenient, it is one of the best investments that extend good looks and the integrity of our homes. One of the ways in which we can renovate our homes is by repainting the interior and exterior walls. Doing this can transform a home becoming dull into a pristine living space you are proud to call home. While most modern paints are designed to last for 5-10 years, many factors can contribute to luster loss and paint longevity. While re-doing your walls based on instinct is a good start, some specific warning signs indicate that it is time to apply a fresh coat of paint. So how do you know the crucial indicators? When is the right time to repaint? How often should you repaint? Let’s find out. Fading paint is a common warning sign. Paint fades because of the bleaching effect brought about by the UV rays of the sun. Interestingly, dark hues fade faster than pale shades. We might expect fading over time on the sunny side of our home. But when fading occurs on our home’s shady side, it’s a clear indication of water intrusion or vapor barrier issues. If you can’t seem to find the source of the problem, consult an expert. As earlier stated, UV rays cause paint fading. The result can be devastating and our carefully selected color can transform into something undesired. For instance, when your exterior, beige walls transform to pink, it is an indication you need to repaint your walls with a grade of paint that can especially survive the effects of UV rays. These signs signal mold, wet rot or dry rot brought about by failed waterproofing. Extreme humidity, harsh winters, ocean breezes, blowing sand, and strong sunlight also play a role in damaging the paint job on our walls. Other than weather and the climate, how the previous paint job was done, how we maintain our homes and where we live determine when we should repaint our exterior walls. The material used to build our walls also determine when we should repaint. For instance, brick sidings require repainting after 15-20 years while stucco requires repainting after 5-6 years. It is important for any homeowner to know about the details of their home’s previous paint job if possible. When your home was last painted and how many coats were applied during the painting process is useful information. Knowing these details will help homeowners determine when they should repaint their homes again. Typically the better preparation that was used, the longer lasting the paint job. Before painting, take care of stucco holes, rotten wood, and any spots of molds. Your home’s location goes a long way in determining when you should repaint your exterior walls. If you live by the beach where the weather is always hot, and the wind continuously blows sand to your walls, you might need to repaint your home’s exterior after 3-5 years. The same applies to homes that are in places that experience harsh winters. Intense storms and harsh winters bring about high humidity levels which cause faster aging of paint jobs. While lighter shades might last longer, darker hues will deteriorate at a quicker rate. Do trees cover your house or does it receive direct sunlight? Direct sunlight causes paint bubbling and faster fading. Exterior house maintenance aims to prevent further damage or spotting and fixing issues before the situation gets out of hand. Being on the lookout for wear and tear signs is crucial. Watch out for rot, dampness, chalkiness, mold, and rodent or insect infestation. If you detect any of these signs, take care of the issue as soon as possible. Doing this not only helps keep your family safe, but it also makes your paint job last longer. Ensure that you regularly wash moss and dirt off your home’s surface before your paint starts breaking down. While some homeowners repaint the interior of their homes to reflect their personality, mood, and lifestyle, most homeowners repaint the interior of their homes depending on other factors. This may include a shift in current trends of décor or family milestones. The type of room also determines when interior repaints should be done. Let us take a look at these factors at an individual level. A homeowner will likely paint his or her child’s room depending on their age For instance, a parent may repaint his or her 12-year-old child’s room because the child no longer sees it fit to sleep in a room which has rainbow colors. A rooms color sets the tone of the entire room. They’ve outgrown the selections when they were only 6 years old and are ready to embrace their new teenage preferences. We live in a world where trends change every day. What was fashionable a few years ago may be considered as archaic in the modern world. If your interior décor rocked during Barack’s first term at the White House, it might no longer be viewed as trending. As you know, most homeowners like to match their interior décor’s color with the room’s color. This means that when a homeowner decides to revamp or upgrade his or her décor, he or she may see it fitting to repaint the interior walls as well. The amount of activity that goes on in a room or space determines when it should be repainted. High traffic areas such as hallways or corridors are prone to faster wear and tear due to constant use by people. As such, they need to be repainted more frequently compared to other rooms that have less traffic like the bedroom. A bedroom may not need frequent repainting, but there is an exemption. Young children’s or teenagers’ bedrooms may need frequent repainting compared to their parent’s bedrooms. Dining and living rooms may not require constant repainting since repainting a specific color means revamping your interior décor. On the other hand, rooms such as bathrooms and kitchens may need frequent repainting because they are exposed to factors such as spilling of liquids and grease. You may also be required to repaint your ceiling once you spot yellow spots on a white ceiling. Interior and exterior painting is not a walk in the park. For the best results when painting our homes, we need to hire professionals who are well equipped to handle such delicate tasks and make your painting experience a breeze. Doing so is the only way to ensure you get quality paint jobs that last for years. If you believe that your home’s interior or exterior siding requires a fresh coat of paint, do not hesitate to contact C.E.T Painting for a free estimate. For quotes and inquiries, visit our website or give us a call on (914) 615-1415. PAINTING: BEFORE OR AFTER I MOVE? Posted March 12th, 2019 by cet_painting_admin & filed under Interior Painting. Moving to a new home can evoke a range of emotions. It can be stressful and exciting all at the same time. Not only do you have to pack and move, but you also have to make important decisions like choosing the paint color of your new home. While some homeowners feel that it is essential to paint their new house after moving in, some prefer to do so before. Regardless of your preference, the primary goal is to paint the right color, and C.E.T. Painting will be there at your convenience. C.E.T. Painting offers professional painting services that will leave your home in pristine condition. In as much as painting your new home after moving in has its advantages, expert painters recommend painting before moving in. Those who decide to paint their new home before moving in, know the secret. Let us examine the benefits of painting your home before moving in and why it stands out as the better option. It’s a no brainer that painting an empty house takes less time and effort than painting an occupied home. Empty houses allow smooth movement of painters from room to room. Another advantage of painting an empty house is that it is easy to protect and cover the floors. Painting contractors make advance estimates before painting your new home based on coverage area and labor hours. It will cost homeowners less money while painting an unoccupied home because painters work at a faster rate in such homes since they don’t use time moving furniture around the house. Painting an empty house is convenient to painters because they can easily access the walls. They can quickly tape off and start rolling on new paints with less effort because they do not have anything obstructing their view. Painting an empty house is also convenient because occupiers don’t have to worry about moving their clothes while the painting of the interior parts of their closets is going on. Unoccupied homes are easier and faster to clean up after doing a successful paint job. Cleaning up empty homes is quick and this allows you to enjoy your beautiful new paint job all the faster. Painting your home before moving in is ideal because it enables you to avoid scenarios where there are spills, smudges, and fingerprints. This can happen so easily if your moving items around before the paint has had sufficient time to completely dry. Homes that are painted before occupancy sell faster. They sell at a faster rate because potential homeowners are attracted to newly painted homes. Well painted houses in pristine condition sell more quickly and at a higher asking price. Moving into a new home entails a lot of activities, some people will be unpacking and arranging different things while others will be moving furniture to an appropriate position. The process of moving and getting settled can lead to damaging newly painted walls. Ever seen the look of a car owner when he/she realizes his/her car’s perfect paint job has a major dent or scratch? It’s not pleasant. Such a thing happening to freshly painted walls is the last thing you need, nobody wants that. Homeowners who paint their houses after moving in have an advantage of choosing the a color palette for their homes with insight into how light looks inside. They can observe the effects of natural and artificial light and how it can even change how a color might be perceived. Those who decide to paint their homes after moving in have the opportunity of matching paint with furniture and interior décor. 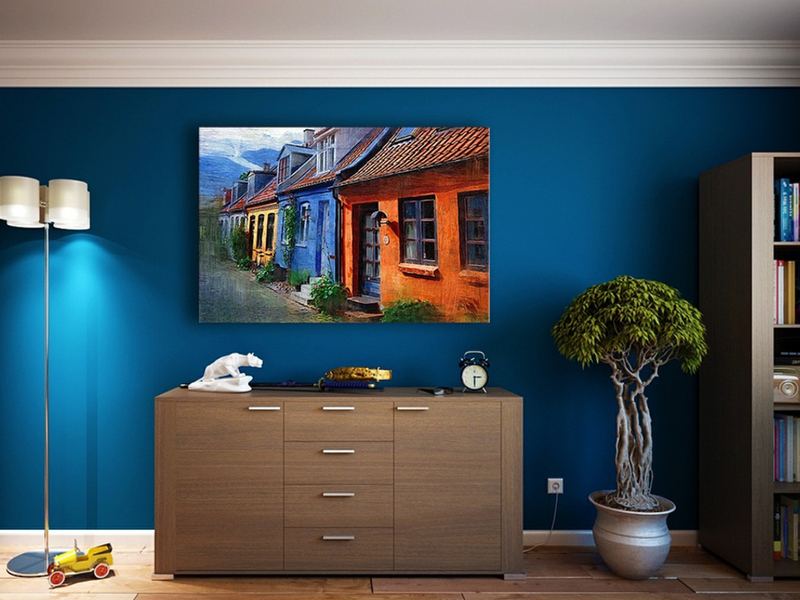 As a homeowner, you want the perfect color to complement your rugs, artwork, and upholstery. Painting your home after moving in gives you the chance to do this without worrying about clashing colors. Whatever decision you make, ensure that you get in touch with a professional painting company equipped with the right tools and personnel. If you are ready to give your home a new look with a fresh coat of paint, C.E.T. Painting will be happy to provide an accurate and affordable quote regardless of whether you have moved in or not. For bookings and consultations, visit our website or call us on (914) 615-1415. Posted February 26th, 2019 by cet_painting_admin & filed under Interior Services, Uncategorized. If you are ready to give your kitchen a refresh, pack a punch with updated kitchen cabinets. A brand new look in your kitchen is a hallmark of elegance and sophistication. You can achieve this by either buying new cabinets for your kitchen or repainting the old ones. If you have taken your time to inquire how much new kitchen cabinets cost, then you know that replacement is expensive. Cabinets account for nearly 40% of a kitchens total cost. New ready-to-assemble kitchen cabinets range anywhere from $1,600 to $6,000 while the other side of the spectrum gives you an option of spending much less. Your home reflects who you are and what you like. 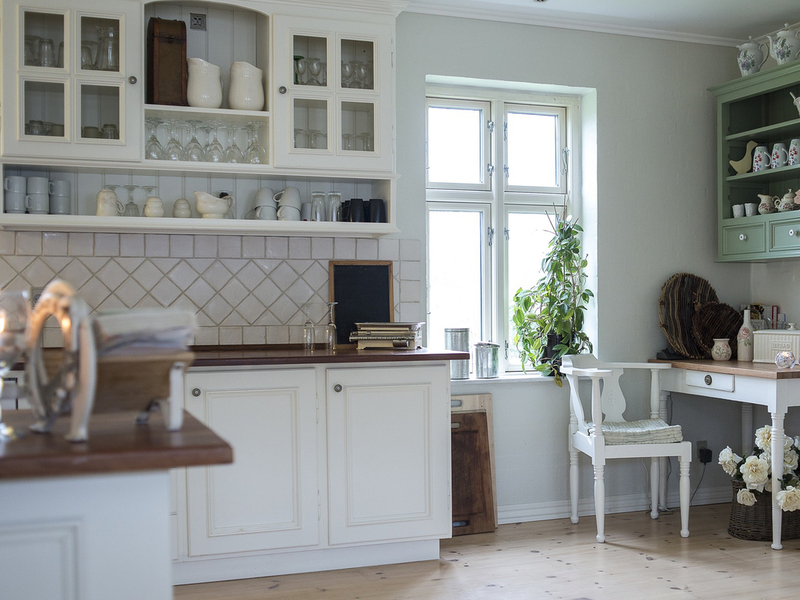 Giving your kitchen a refresh starts with the cabinets since they occupy the most space in the room. You can purchase high-quality paints from your local store and refurbish your kitchen cabinets. However, painting kitchen cabinets is not a walk in the park. To achieve excellent results that send the right message, you must hire pros who know how to boost the looks of your kitchen. The process requires extensive knowledge and experience. Depending on the size and amount of cabinets, this project will typically take 4-5 full days. This is definitely a project where the preparation work is vital to getting a beautiful finished project. If you have doubts or just don’t have the time investment it will take, this might not be the best project to do yourself. If you decide to do so, be prepared for the challenge. So, how do painting experts manage to pull off great looks and make it look so easy? Successful paint jobs rely on diligent prep work. As earlier pointed out, cabinet painting takes several days. While prepping for the work, ensure you set up a room where you can do your cooking without getting in the way of the painting process. Cabinet transformation is a multi-stage process which lets you paint melamine, wood, and laminate cabinets. Painting kitchen cabinets with laminate surfaces can be tricky because they require special bonding primer. Professional painters ensure that they first test your desired paint in an inconspicuous area of the laminate surface to be sure that it bonds perfectly to the material. Drawers and flat-front doors are easily painted. However, woodwork with routed profiles, raised panels and other architectural details require more time to prepare and paint. The first step of cabinet painting is emptying the contents. Drawers, doors, and hardware such as hinges and knobs are then removed. Special note is made so that cabinet doors and drawers go back into the right spot. Paints don’t stick to greasy materials. It is for this reason that cleaning the cabinets with grease-cutting solutions is important. A kitchen scrub sponge or a cloth is used to wipe the cabinet surfaces, the cabinet doors, and drawers to get rid of any oil. After this, they are rinsed with clean water and wiped with a clean rag to dry them. Holes and dents are then filled by use of a wood filler. For the paint to perfectly stick to the surface, sanding is done by medium grit sandpaper (sanding sponge or 120-grit sandpaper) after placing painter’s tape on the walls along the cabinets’ edges. Coarse 100-grit sandpaper is used to remove bumps or smoother rough surfaces. This is a significant step, and painters are extra careful to avoid going overboard while sanding. The sanding dust is then vacuumed from all surfaces after which a tack cloth is used to wipe off any dust before painting. Some people prefer the wood grain showing while others don’t. At your request, painters fill open grain on wood surfaces before painting. The grain pores can be filled with spackling, by sanding between coats till the pores are filled or by applying several coats of high-build primer. For the first coat, a fast-drying primer is used to speed up the painting process. Primer sealers reduce the need to deglaze or sand old finishes before the finish paint is applied. A primer sealer provides a perfect base for water-based paints. Laying off is then done. Laying off is the process of using a brush or a dry roller to go over surfaces for the removal of build-ups in light manner. This stage involves painting the face frames’ opening and the inside edges, the sides of the outer cabinet and finally the front of the face frame. Keenly following these steps allows painters to detect and correct smudges or drips on visible areas. It also allows them to work faster in less critical areas. The next step is painting drawer fronts and cabinet drawers, along with separate moldings or wood pieces. If these parts have routed or raised features, the paint is carefully flowed into corners and crevices without accumulation in the spots. The paint is applied in thin, light coats covering all the areas. Thin coats dry quickly, and they leave fewer noticeable brushstrokes. Painters are keen not to overwork the brush because it might create air bubbles that leave pits and bumps when the finish dries. The paint is then left to dry for a few hours before lightly resanding the surfaces in preparation for the second coat. Two coats of high-quality paint are enough to do the job. However, a third coat can be applied for protection purposes given the fact that kitchen cabinets are exposed to day-to-day use and cooking heat. An alternative to painting by brush is to spray paint the cabinets. This will give you a polished factory finish. If you are looking forward to repainting your kitchen cabinets, consider hiring experienced professionals who will perfectly do a thorough paint job which will last through the coming years. C.E.T. Painting has the best painters who double-check for defects before moving on to the next painting stage to ensure that you get your desired results. For bookings and consultations, visit our website or call us on (914) 615-1415. Posted January 29th, 2019 by cet_painting_admin & filed under Windows And Siding. Most homeowners disregard the importance of pressure washing. Some think it’s just not necessary. Or that it could even damage their home. However, this is not the case. Pressure or power washing is very important to your home. It gets rids of dirt, mildew, and mold, especially in shaded areas. Regular cleaning helps you get rid of dust, grease and chemical residues that have built up over time. Failing to clean your siding can result to fading or discoloration. Join us as we conclude our blog series, Everything You Need To Know About The Siding Of Your Home. Mentioned below are some reasons why you should regularly pressure wash your home’s siding. Pressure washing your siding greatly improves the curb appeal of your home. This is particularly important to homeowners looking forward to selling their property. Using a pressure washer for cleaning your siding removes dirt and debris which make your house look old and unattractive. By making use of a pressure washer for cleaning your house, homeowners who intend to sell their property increase the chances of selling their houses at a faster rate. Moss, algae, mildew, and mold have the potential of causing repair issues in the long run. You do not have to live with the dinginess and damage that comes with these types of growth if you pressure wash your home’s siding. Protect your health as well as the health of your family members by getting rid of mold, dust and other allergens that can make you sick. Pressure washing eliminates these irritants by completely getting rid of them. Before embarking on any exterior renovations, make sure you pressure wash to get rid of any dirt that may inconvenience you in later stages of renovations. This is a recommended step that should never be skipped. The directions on the most common materials like tubes of sealant, bottles of stain, and paint tell you to start with a clean surfaces for the best results. Pressure washing is essential for cleaning and taking off peeling layers that may cause problems to new applications over time. Your home’s siding speaks volumes about your personality, who you are, and what you like. It is either a win or a fail; there is no in between. To make sure that you are on the winning side, go through the color palette on the color wheel. Never force colors to your home if it does not have a natural way to divide them. Always go for color combinations that are less complex. We hope that you have learned more about your home and this important but under appreciated architectural element of your home, siding. Please check out any of the other articles in our blog series, Everything You Need To Know About The Siding Of Your Home by visiting our website. We have covered knowing when it’s time to replace or re-stain, reviewed the pros and cons of each type of siding material, highlighted how to choose the perfect color and now the important of pressure washing. For more information and guidance on your home’s siding, get in touch with us at (914) 615-1415, visit our website. Or send us an email at cetpainting@yahoo.com. Posted January 12th, 2019 by cet_painting_admin & filed under Windows And Siding. 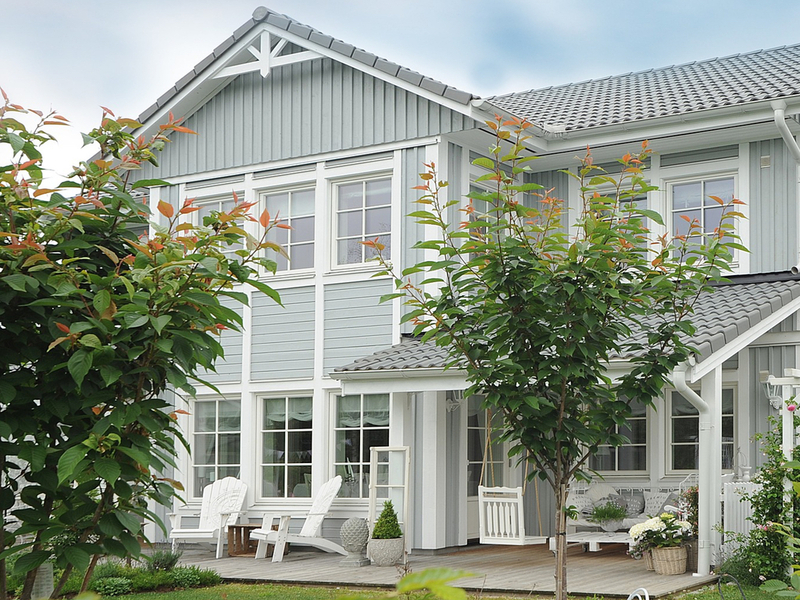 The thought of choosing new siding colors can be daunting. There is always fear that you might not choose the correct color. Changing your siding color is more difficult than painting a room in your home. 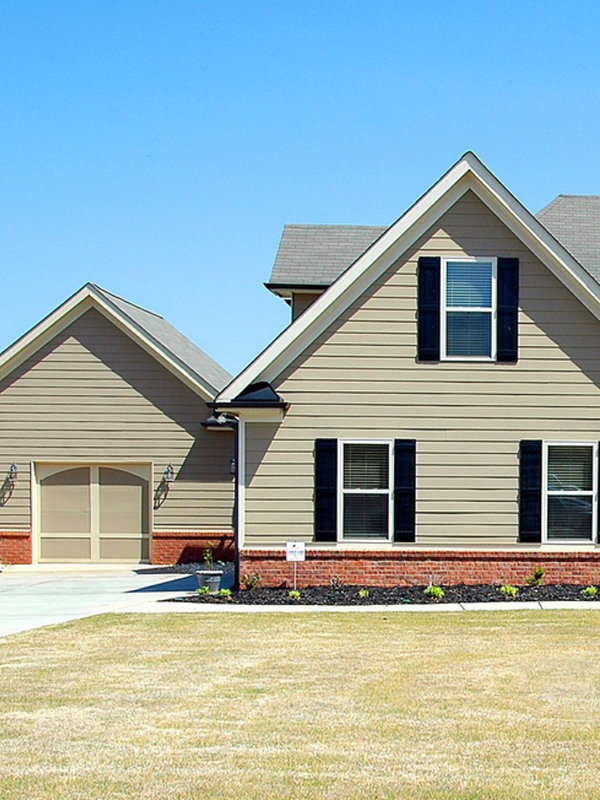 So, how do you ensure you make the right decision when it comes to the color of your siding? Don’t sweat it, C.E.T. Painting has created the perfect siding color guide to assist you through the whole painting process. Our advice is that before you choose your siding color palette, visualize what you want your home to look like. Choose a trim color from our color wheel that will that blends perfectly with your neighborhood. The following are some colors that may look flawless on your home, consider any of these siding colors as we continue our series of articles on Everything You Need To Know About The Siding Of Your Home. It’s no doubt that blue has become quite popular over the last couple of years. When compared to neutral shades, it stands out as a bold color. 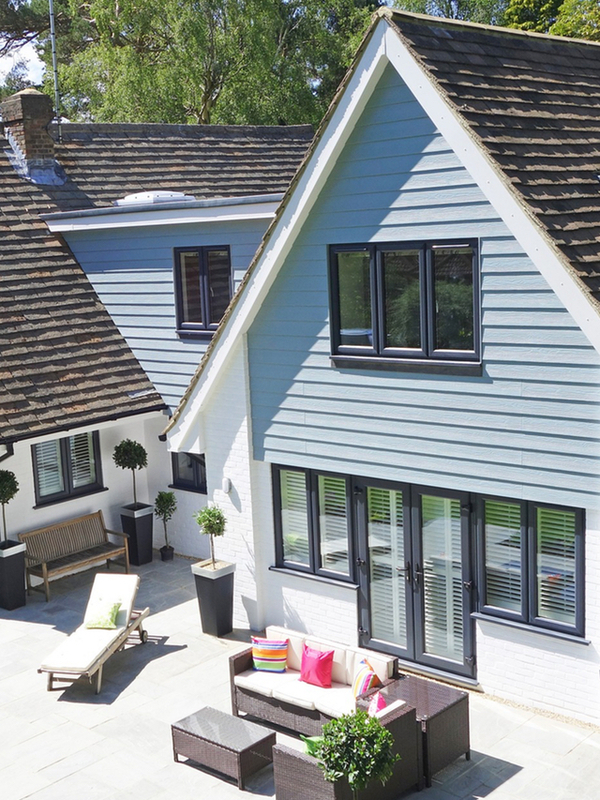 If you aim to evoke feelings of peace and serenity to viewers and guests, then coastal blue is precisely what your siding needs. Homes painted with a combination of crisp white trim and coastal blue evoke a feeling of well-being. The color has the same effect as the sea does to its viewers. Cypress is a muted shade of green popular in the northern parts of the US. If your home is located in a conservative area that values neutral colors, then cypress is a perfect choice. The color blends perfectly in homes surrounded by woods, fields, and trees. This color is also ideal for homes located in areas where darker colors are preferred because it makes use of various accent colors. Pale or yellow tones of marigold are the key to anyone looking for warm and light colors to brighten their home’s exterior. Marigold is ideal at lightening and brightening a house without making a bold statement. Pairing marigold with crisp white trims brings about tremendous results on different architectural styles in all areas. 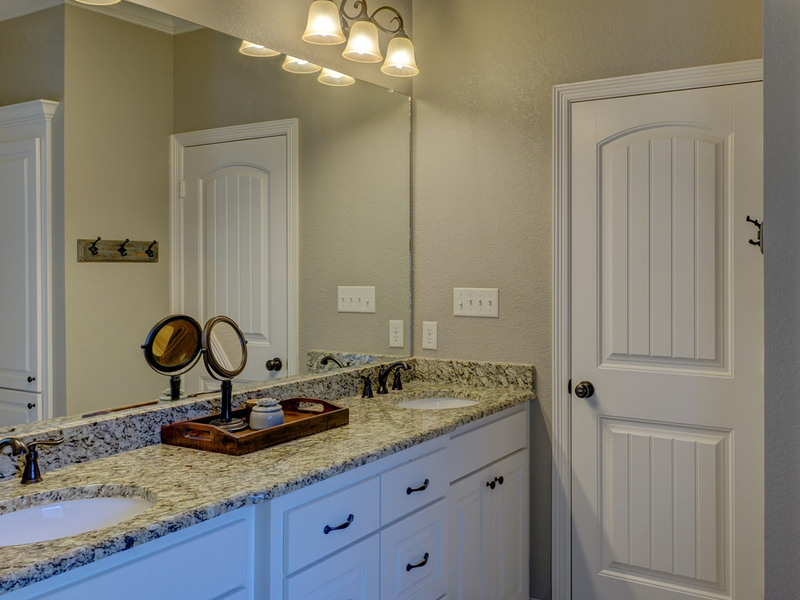 Natural clay is popular with homeowners not willing to stark a shade or those who are intrigued by white. This color has a unique personality. It is cooler than tan or cream. It pairs perfectly with brown, beige, and tan. Natural clay is ideal for people looking forward to creating monochromatic exterior to their siding. Forest green is ideal for homeowners whose houses are located in rural areas or those living in places surrounded by nature. The color reminds us of trees during mid-summer. Forest green is a perfect background color for houses that require bold accents, like red front doors or a black shutter. Regardless of where you live or your architectural style, true neutrals are always well received. Neutrals blend well with their surroundings. They are perfect if you live in a neighborhood of divergent styles or colors because they do not clash or call for unnecessary attention to your property. Desert Tan and other neutrals blend perfectly with accent colors, like green shutters, for those who prefer a small pop of color. Choosing just the right color is an important component when deciding to replace or re-stain your siding. C.E.T. Painting is happy to be your partner in this undertaking. 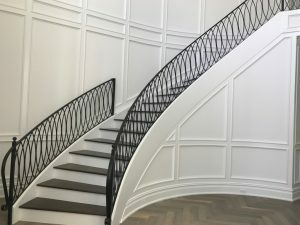 Not only do we have experience working on some of the most beautiful homes in Westchester county, but we offer the best customer service in the business. Let us put it to work for you. Contact us at (914) 615-1415 for a free estimate or visit our website. Our series Everything You Need To Know About The Siding Of Your Home continues with our next blog post on the importance of pressure washing. What Are The Pros And Cons Of Each Type Of Siding? Posted January 8th, 2019 by cet_painting_admin & filed under Windows And Siding. Our previous blog article in our series on Everything You Need To Know About The Siding Of Your Home, focused on the importance of replacing or re-staining the siding on your home. 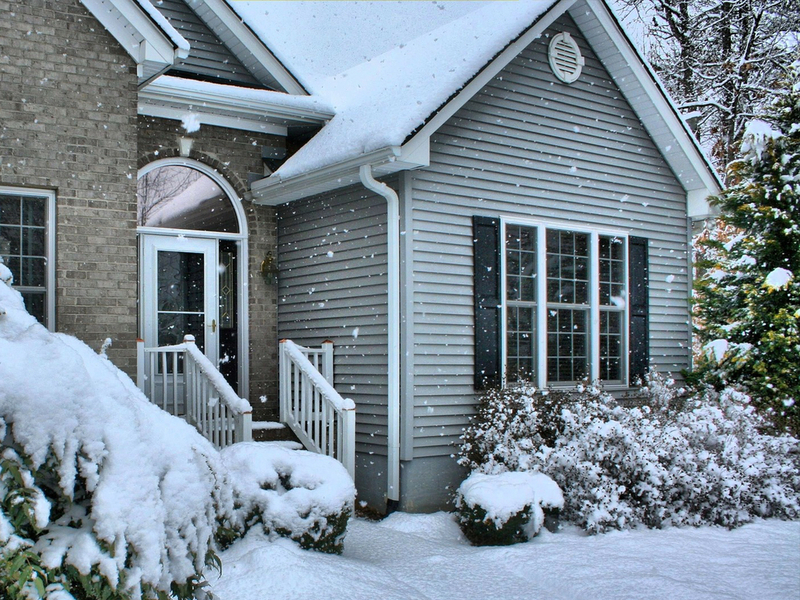 More than simply improving your home’s curb appeal, we saw that siding improves your home’s insulation and protects it from adverse weather conditions. It goes without saying that your home’s siding plays a significant role in influencing your home’s architectural style. This article will dig a little bit deeper on the kinds of siding materials you should use and breaks down the benefits and weaknesses of each. So sit back, buckle up and relax as we cruise you through a sea of information on your home’s siding. Wood siding has been used for centuries. Most people not only like it for its beauty, but also for the natural look that it brings to their homes. The naturally changing tones and colors of wood make a home feel inviting. Wood siding can be from different tree species such as cedar, redwood, fir, pine, and spruce. An advantage of wood siding is that it can easily be stained. Other than stain color and species, you can further tailor your home’s overall look by selecting a profile that is most applicable to you. Some of the most popular profiles for wood are board and batten, shakes or shingles, bevel or clapboards, and engineered wood like vertical boards and wooden sheet siding. The cheapest option is clapboard while the most expensive option is shingles due to its classic look. – If damaged, you can replace wood siding in small quantities. Other types of siding need sides and whole panel replacement in case of damage. – Without a doubt, wood siding is the ‘greenest’ siding on the market. – With wood siding, there is infinite customizability; there are no boundaries to the types of stains that can be applied on wood. – The insulation R-value of wood siding is higher compared to other types of siding, meaning it is more energy efficient. 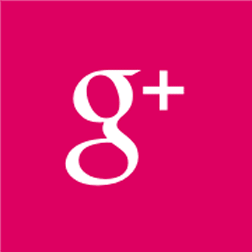 – It is easier and faster to install. – Although wood siding has infinite customizability, maintenance is a must; there are no shortcuts. – Wood can easily be damaged by water or wood eating insects such as termites. – Maintenance cost always add up: staining is required every 3-4 years, and repainting is needed every 5-6 years. – It’s not suitable in dry areas since it isn’t fire resistant. Fiber cement is one of the most popular siding options because of its low maintenance and resistance to insects. It is a mixture of cement, sand, and fibers. Australia’s James Hardie is the most popular brand. Many homeowners prefer fiber cement because it is a low-cost wood alternative that is durable. – Fiber cement has a look and feel of wood, and it is not susceptible to wood insects. – Fiber cement has a class 1A fire rating, meaning it is fire resistant. – People who live in coastal areas don’t have to worry about salty air damaging their siding. It also isn’t prone to decay or rot. – Has a 15-year guarantee of not chipping nor fading. Its maintenance is easy. – Has numerous color options due to its varied texture and finish. – Although not as frequent as wood, it requires repainting every 13-15 years. – Self-installation can be challenging for one person due to its heavy weight, it requires special cutting tools and at least two people to install. – Although not frequent, there is some evidence of delamination of the material. Vinyl siding is the most popular boasting a 30% market share of new siding installations. Most homeowners like it because of its color options, low cost, and durability. Like wood siding, vinyl has numerous profiles which include: shingles, shakes, vertical and horizontal panel, board and batten, scallops or fish scale, and dutch lap. – It is very durable. After installation, vinyl siding warranty is for 30-40 years. – Vinyl’s color options are endless. – Its versatility allows it to be textured like wood without worrying about termites or decay. – When upgrading your exterior siding, vinyl is most likely the cheapest option. – With an R-value of 2-5.5, insulated vinyl is energy efficient. 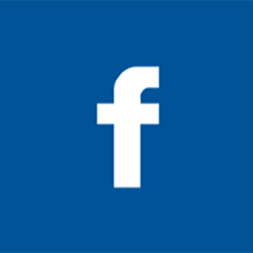 – There are numerous vinyl materials to choose from. – It is water-resistant but not waterproof. Poor installation may lead to water seepage through the paneling creating molds and other unwanted issues. – You can’t repaint vinyl. The color you choose to paint your vinyl is permanent. Stucco siding is an exterior style that traces its roots to Spain. It is made up of cement, sand, and a lime mixture. Although it can be painted, it doesn’t hold well and will require frequent repainting. Stucco siding has two options: synthetic stucco and traditional stucco. – Requires minimal maintenance and can last 50-100 years. – Stucco siding is not affected by rot or insect problems. – Dries quickly due to its breathable materials. – Stucco enables you to achieve your desired results because it gives room for mixing of specific colors. – It is cheaper to repair considering you don’t have to replace entire panels. – Stucco easily cracks if a home’s foundation moves. – Dirt and weathering are more visible on stucco siding. – Areas that experience heavy rainfall aren’t suitable for stucco. Brick siding is conducive mainly because it lasts forever. Many homeowners prefer it because of its elegant rustic look. Brick siding has two options: brick veneer and solid brick (brick masonry). – Bricks last a lifetime. – It is fire resistant. – Does not fade or decay; neither does it need repainting. – Has lower home insurance due to the fact that it is durable, termite proof, and is fire resistant. – It will take longer to install if you are doing so yourself. – Brick siding is expensive. – Color choice is permanent once you settle on a specific brick, there is no room for repainting. – Motor joints may need replacement since they deteriorate over time. Now that you are an expert in the different types of siding options out there, are you ready to start a project of your own? When you are ready, C.E.T. Painting would be happy to arrange a no cost, no obligation estimate at your home. All estimates are done by Carlos taking advantage of his many years of experience and expertise. Don’t hesitate to give us a call today (914) 615-1415. Our series on Everything You Need To Know About The Siding Of Your Home continues with our next blog post on a guide to selecting the perfect siding color. You won’t want to miss it. Is It Time To Replace Or Re-stain My Siding? Posted January 1st, 2019 by cet_painting_admin & filed under Windows And Siding. Most homeowners focus on refurbishing old components of their homes such as doors, ceilings, windows, and decors but give little thought on the state of their home’s siding. The truth of the matter is that siding is as necessary as any other structural component. Sidings play a significant role in keeping your house in one piece. In fact, siding may be one of the most crucial elements of your home when it comes to maintaining the aesthetic value. So, should you paint or stain the existing siding on your house? If your asking yourself this question, the answer is probably yes. When you notice the siding fading or peeling off, it’s time to take action. To appreciate the important role of siding, let’s first take a look at some of the advantages of staining. Regardless of how old your home is, staining the siding gives it a refresh that makes it look brand new. Staining the siding of an older houses is the oldest and most effective trick to giving your home a flawless appearance. Replacing or re-staining breathes life into the exterior of your home. Refreshing your home’s finish with a new coat of paint offers it renewed protection against extreme weather conditions. Wood fibers are held together by lignin. Exposing lignin to too much sunlight breaks it down leaving grey surfaces that cannot maintain a finish. This leads to water penetrating through the wood, a factor that results in wood rot. Rotting shingles and boards have the potential of compromising the structure beneath. Re-staining or replacing your siding gives your home a renewed fight against extreme weather conditions that have the potential to damage your home. As pointed out, mildew and mold that come as a result of water seepage through your home’s siding have the potential of wreaking havoc. Unprotected wood is susceptible to water damage. Water damage destroys woods and boards by making them soft. This leads to swelling and eventually, decaying. Re-staining your home’s siding prevents the structural damage of your home. Sidings such as vinyl can last up to 55 years. Daily wear and tear can significantly reduce this lifespan. Painting not only helps keep your siding look it’s best, but it also extends its lifespan. This aspect enables you to save money in the long run. Staining and painting wards off wood-eating pests such as termites by sealing off exposed areas which are prone to damage. Stains are resistant to peeling and are easy to apply. They bring out the grain or texture of wood in a clear manner. Re-staining or replacing the siding of your home has a high return on your investment; especially if you are considering putting your house for sale. Even if selling is not for you, refreshing your home’s exterior can significantly boost your neighborhood’s charm. As is evident, replacing or re-staining your home’s siding is of great importance. Siding re-staining plays a significant role in extending the durability of your home. C.E.T. Painting is keen to help you maintain and improve your home’s appearance. As such, this is the first in a series of blog articles on Everything You Need To Know About The Siding Of Your Home. The next article will focus on what type of siding material you should choose. If you are in the market to replace or re-stain the siding of your home, please do not hesitate to contact the professionals at C.E.T. Painting at (914) 615-1415. Posted December 20th, 2018 by cet_painting_admin & filed under Windows And Siding. As sure as taxes, there will undoubtedly come a time when your old windows will need replacement. So, when is the right time to replace your windows or how do you know that your windows need replacement? Your windows may need replacement if they are leaking. 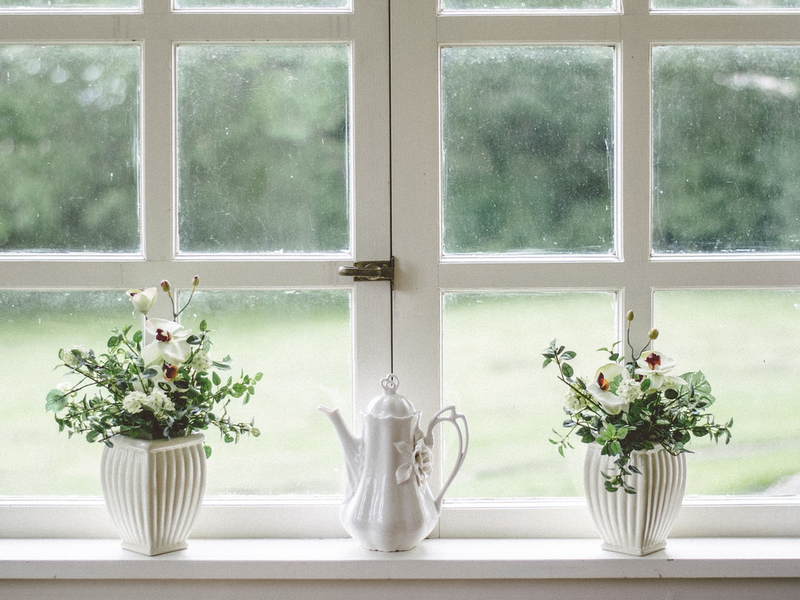 Also, if you notice that your windows are foggy, difficult to open and close or have rotten sills and frames, it’s high time you consider replacing them. Contemporary doors and windows are nothing new at C.E.T Painting; neither is modern architecture. C.E.T Painting is the number one firm which lets you choose your desired doors and windows based on your architectural style at an affordable price. Our unparalleled selection of doors and windows makes modern architecture easy to achieve. We have been a solid provider of customized windows since the trend began. Whether you own a French Eclectic, an International Modern, American Farmhouse, Cape Cod or Georgian style home, we have the right window combinations that blend perfectly with the materials used in building your home. We feature Andersen and American Craftsman windows. They include Specialty, Awning, Transom/Fixed/Picture, Casement, Single-Hung, Double-Hung, and Double-Hung Impact Windows. All of our products are labeled, rated and certified by NFRC (National Fenestration Rating Council). The NFRC is a nonprofit organization that provides credible, fair and accurate performance ratings for doors and windows. Products we deal with meet the criteria set by the U.S Department of energy and the U.S Environmental Protection Agency on energy efficiency. The certification criteria are generally based on heat loss and heat gain of each product depending on the location of your home in the U.S. In short; we are pleased to offer safe and durable windows that have been tried and tested. This crucial aspect has won us the trust of hundreds of homeowners and real estate investors. How Many Panes Are Best For My New Windows? Many homeowners are unsure about the number of panes their glass windows should have. When they go shopping for windows, their main concern is the price. Purchasing windows based on their cheapness means you only get cheap windows with nothing else to offer. When shopping for new windows for replacement, focus on the protection of your home as well as energy efficiency. Purchase windows based on the number of panes and the windows’ framing. Installing windows with 2-3 panes for every glass is the standard rule. 2-3 panes don’t allow air seepage; neither do they crack easily. They are also strong, a factor to consider if your home frequently faces tropical storms. If you genuinely value your peace of mind, especially when sleeping, 2-3 window panes are the best for your house for they effectively cancel exterior noise. The benefits of window replacement are numerous. New windows make your home stand out. They make a “wow” impact that will instantly be noticed. They not only provide enjoyment and comfort to homeowners, but they also increase the security of your home. Homeowners who install new windows immediately note that they provide consistent temperatures in their homes. They are easy to maintain, and at the same time, they add curb appeal to your treasured homes. Most people prefer lots of natural light in their home. However, excess ultraviolet rays can result in the fading of your home’s interior. The only way of protecting your home’s furnishings, walls, and floors is by choosing windows which provide added protection from ultraviolet rays. Such windows have Low-E insulating triple-pane and double-pane glass with argon. Outside noise can be reduced by installing windows that have a glass option of noise reduction. Such high-quality windows are offered by brands such as Andersen and the American Craftsman, all of which are available at C.E.T. Painting. You may be wondering how installing new windows save your money. Well, look at it from this point of view; old-school windows are not well insulated. This means that you spend a lot in your indoor cooling and heating system to keep out extreme outdoor conditions. Installing new, well-insulated windows helps you cut the cost of running and maintaining your home’s air conditioner. C.E.T. Painting boasts of quick and reliable services to its clients in Westchester and its environs at an affordable price. We have completed numerous projects that have earned us confidence with our clients as well as an excellent reputation for high-quality work. For inquiries on Andersen and American Craftsman windows, get in touch with our superb customer service team by sending us an email at cetpainting@yahoo.com or by calling us at (914) 615-1415.